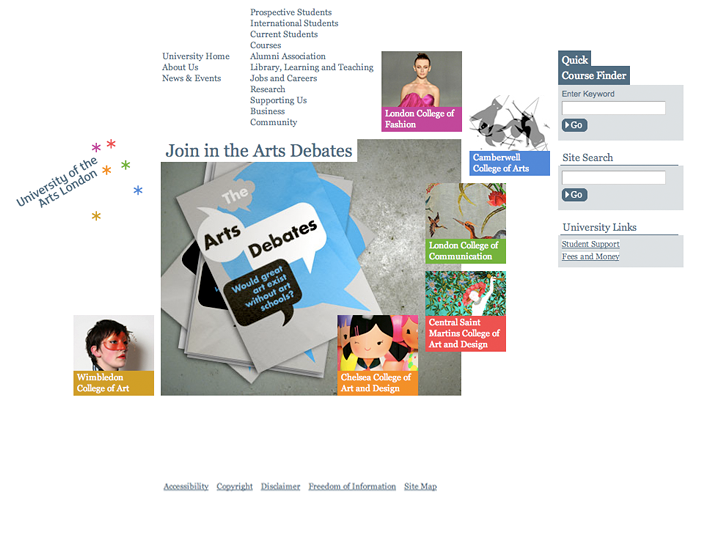 The University of the Arts London wanted us to integrate their new brand online – to become a better online experience and to solidify a recent brand refresh. 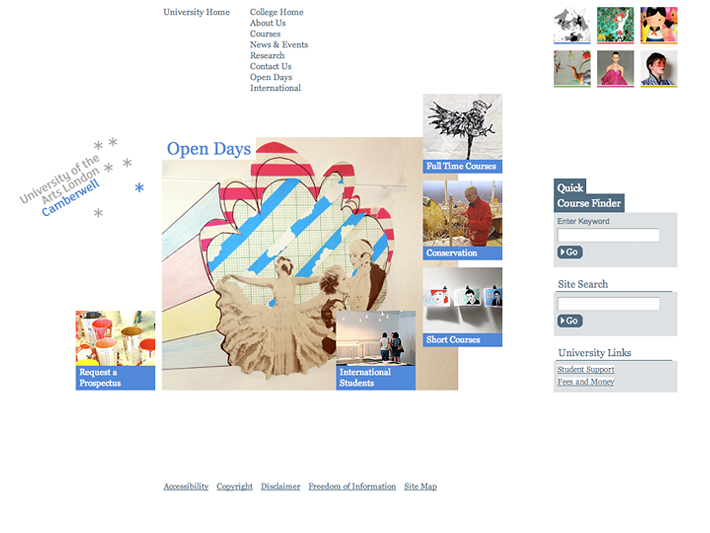 The new concept was based around constellations – evident in the refreshed identity, and amongst the colleges and their relationship to the University and students. The visual design, as well as the build, were underlined by the need to make it easier for the user to navigate around the site and be able to find content and information required immediately. Part of the challenge was to define the relationship between “global” (University) and “local” (College). 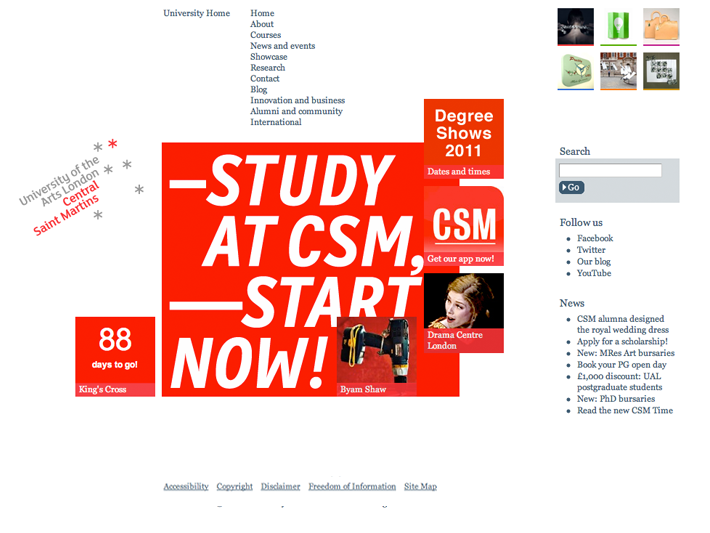 This meant pushing usability with the course finder whilst retaining the unique spirit of the individual colleges. As a result we created a system which was fixed, flexible and free. A modular box system with accompanying styles and grids. 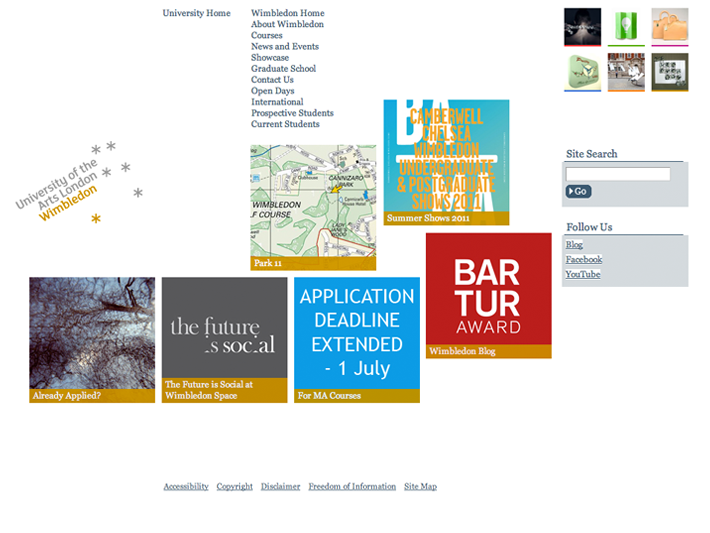 This meant the University and all Colleges had infinite ways to visually distinguish themselves. The CSS-driven nature of the site allowed for easy updates/maintenance and ease of use. 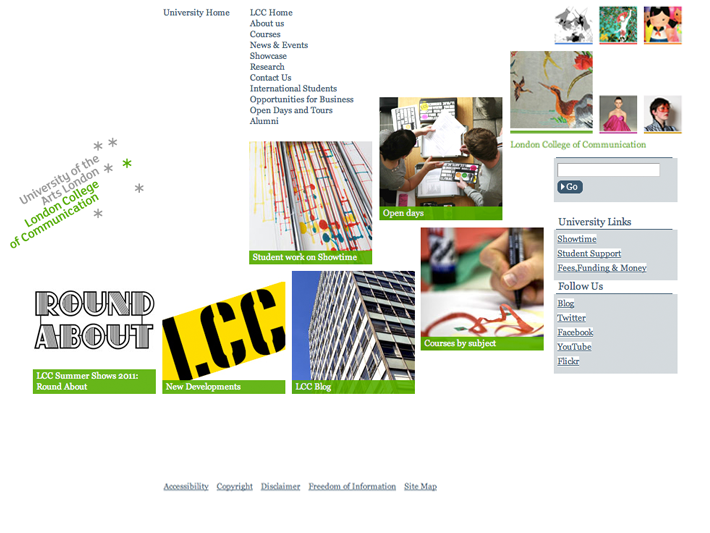 We created a ‘live-feed’ way-finder and colour mapped content to aid navigation through the site and to help differentiate college sites. I have been following their updates with great happiness over the years. 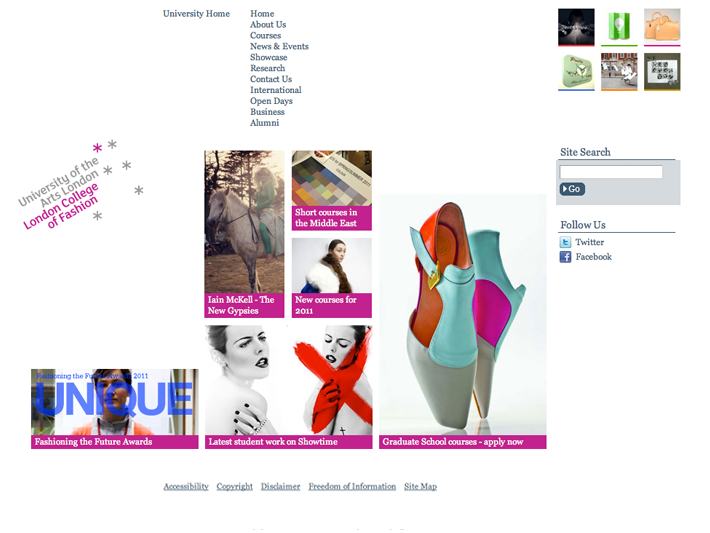 All the homepages manage to create their own look and feel within the system we provided. Its nice when a client fully embraces what you have given them.